The best cruises for seniors can be anything from adult-only cruises, setting port in bucket-list destinations, cruise ships that cater to disabilities or encompass the finest life has to offer. Choosing the best cruise for you depends on what you want to get out of your vacation. Consider if you would rather join a seniors cruise for singles for a chance of meeting the love of your life or one that allows multigenerational families for a cruise the whole family can enjoy. Would you rather stop at multiple destinations or head to a single destination or consider if you are more interested in a luxury cruise that will cater to your every need and pamper you every moment you are on board. 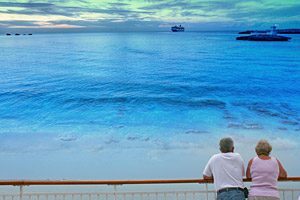 Once you determine which cruise best meets your needs and wants, choosing the best cruises for seniors will be easy. Whether you are a senior, or not, everyone wants the best bang for their buck and choosing a cruise is no different. It can be helpful to determine what your priorities are in order to choose the best cruise. First, consider how your ideal itinerary would be, whether it is packed full of destination stops or if you head to a single destination. If you want to travel to multiple destinations, but the thought of packing and unpacking multiple times doesn’t thrill you, look for cruises that head to multiple ports, but allows you to stay on the ship overnight rather than needing to stay at a hotel. You will also need to look at enrichment programs, interactive classes and other on-board activities to make sure you have plenty to stay busy and having fun while out to sea. If you have medical or mobility issues, you will want to ensure the cruise of your choice is able to cater to your needs to the best of their ability. You will want a cruise ship that is fully accessible to you and one that offers top-quality medical care as well. Once you choose your destination, you will narrow down your choices quite a bit. Whether you want to head out to Alaska, go on an exotic cruise to the white sand beaches of the tropics, cruise down rivers or end up at amazing scenic places like Norway or some unexplored island in Asia, there is a cruise that will take you where you want to go. Choosing the type of vacation you want can also help you determine the best cruises for seniors. If you want an ultimate adventure and check off multiple items on your bucket list, there are plenty of cruises that will speak to your adventurous heart. Likewise, if you just want to laze about in the sun, be waited on hand and foot, enjoy the best spas and luxurious settings, there are also plenty of cruises that will hit all those right notes. If you love your grandchildren, but just want a break from the noise and chaos little ones to seem to bring everywhere they go, there are many cruises that are adult-only and visit adult-only destinations. There is nothing wrong with wanting to enjoy the time and company of people who are in your own season of life. However, if you want to bring your whole family along for the cruise, there are several cruises designed to accommodate multi generational families. Whether by personal circumstance or by choice, many seniors cruise solo. If this is the case for you, make sure the cruise you choose accommodates solo passengers to avoid the often exorbitant single supplement charge, which can be as high as one hundred percent of the original fare. Singles cruises are one great choice to avoid paying an additional fee. 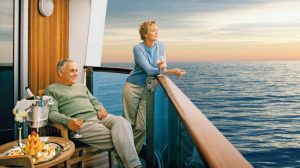 Choosing the best cruises for seniors comes down to choosing what is best for you, whether you want adventure or luxury, enrichment classes or exploring different lands or if you want to travel solo or with your entire family. There are plenty of choices available that will fit your every desire in a cruise.